The president of United States Barak Obama has safely arrived in Nairobi. 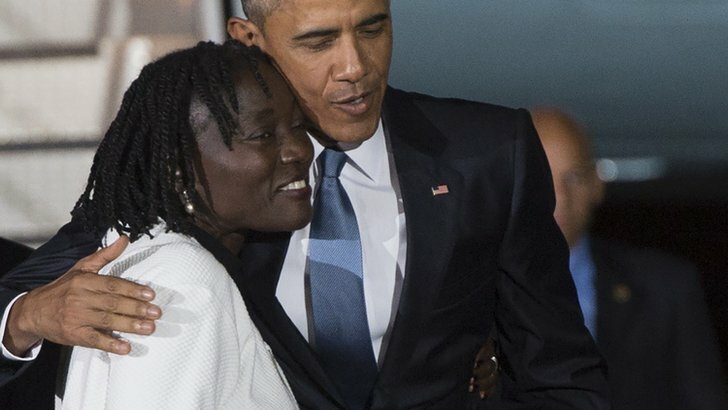 The first person he met was his half sister Auma Obama. Both were met in Chicago when both were in their twenties she was also Michelle’s bride maid at their wedding . Growing up In Kenya. Auma set up a foundation to help devastating children. 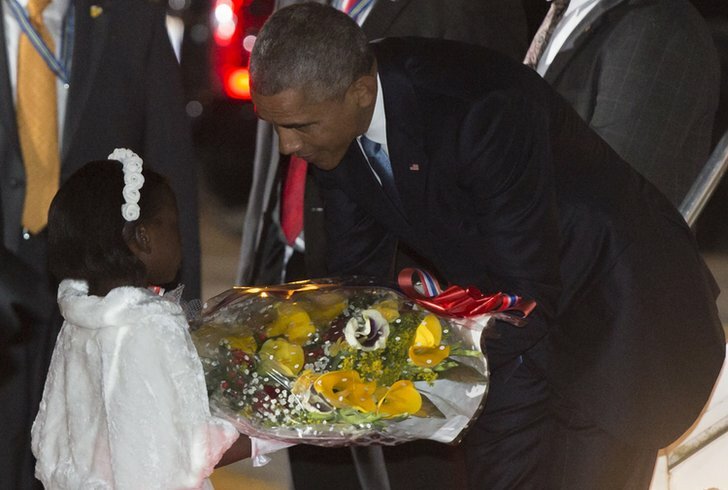 It was also revealed the little eight year old girl who greeted the president at the airport with a big Bunch was previously an orphan . We will bring you more news on the president visit in Kenya and latter in Ethiopia. Stay tuned.